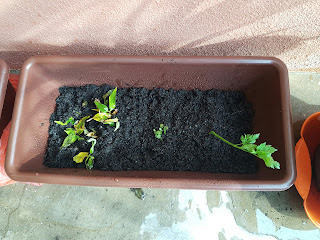 I have been trying to plant few things. Started with daun pandan first. Bought the soils and pot from Mr.DIY. 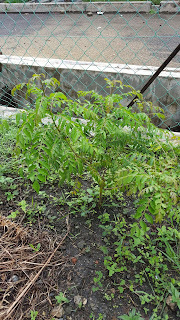 Then I have Sawi seeds that Babah gave me millions years ago :P baru nk tanam. Dah la tak reti. Siap wasep Babah tnyr everything about sawi. Lol. 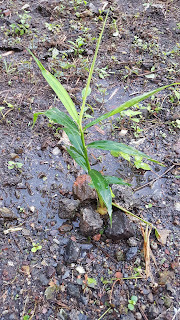 Tambah pokok bawang. Nak daun je. 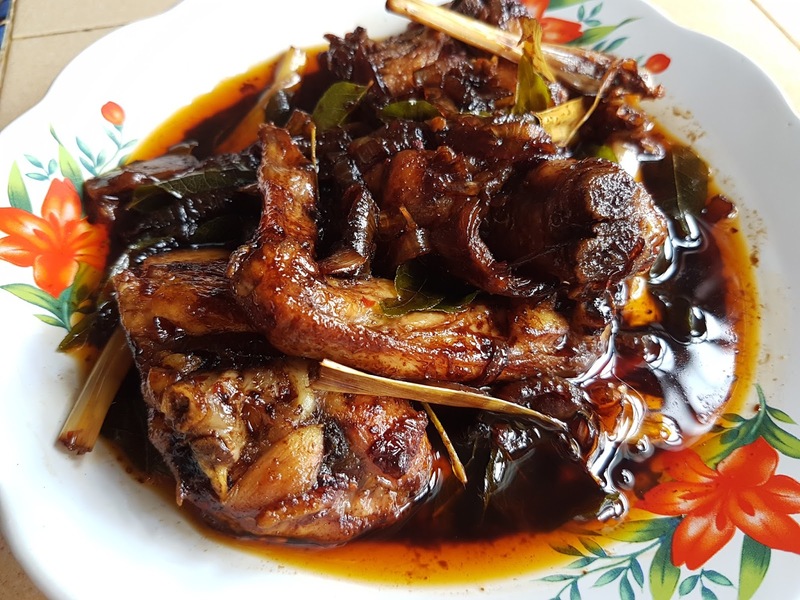 Serba sejemput daun kesum, kucai n daun sup. Hmm mcm padat pulak. Nnt alih. Then both PIL came and he checked himself saying my pokok still small to change pot. Haha. Patut la macam bantut je. Anyway I rase ade satu dua yang akan survive. We'll see lah. 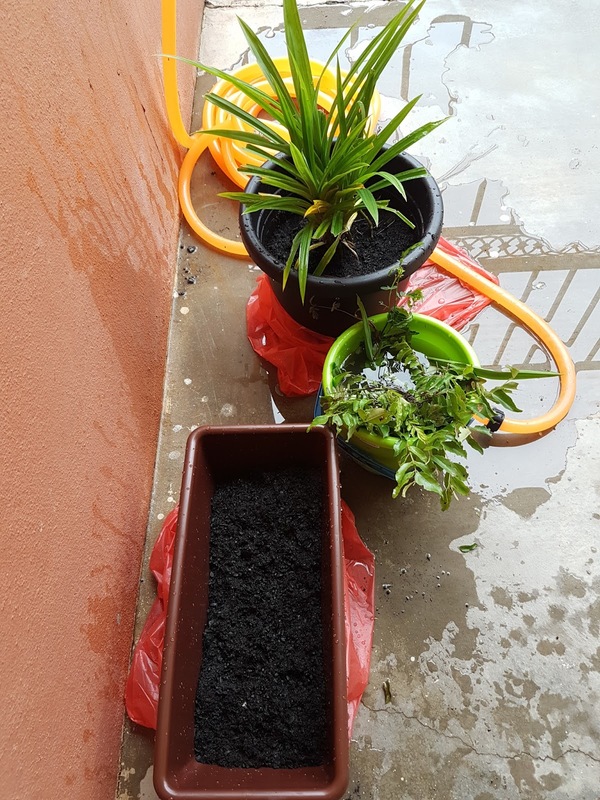 Babah then changed my pokok pandan to proper place. I am so excited with all these!! Because I tested my new tudung. He thought I am going out and not taking him. I was unwell yesterday and Husband is in charge of becoming the nanny and the cook. All the cleaning stuff can wait sebab rumah was out of water since noon. I feel like he is playing mak mak with the kids. Too cute. Masak nasi dengan telur goreng je. Letak kicap. Itu pun kemain suka Rauhah. She was at first reluctant and was under estimate that her Abi can cook and become the mummy in the house. After the foodnis served and the tummy is full all she could say was 'Sedapppp abi masak!' and Husband couldnt stop bragging himself all day long. Oh well, layankan jelah. I am feeling stronger now and dah start clock in. Air dh ada and the first thing is cleaning up the pile in the sink. 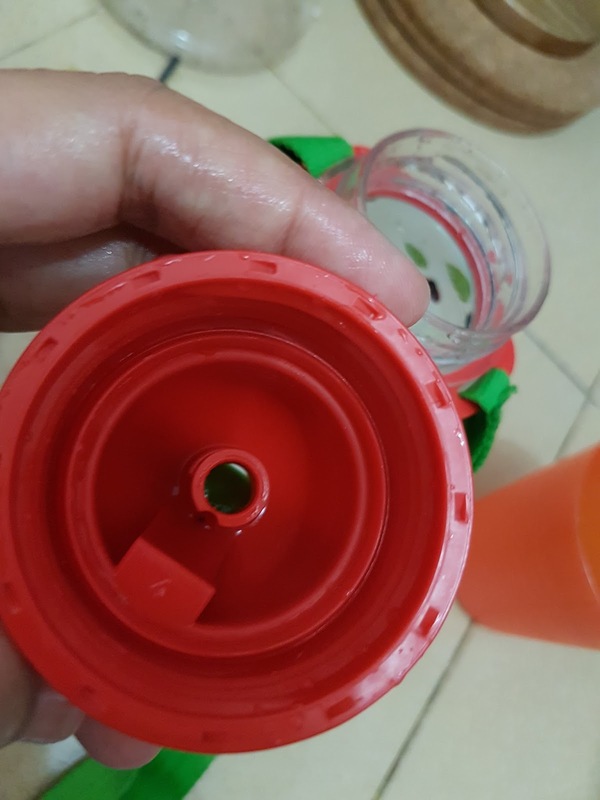 Aqil tumblers ni isi air je tapi amboi tgk si hitam2 ni benci matakuuu. Cleaning brush xde and while waiting Dr.Browns ni sampai, kne la hadap masuk cotton dlm tu. Lidi takde. I tibai straw ikea kerat sikit nk tolak cotton. Gigih sbb geram! Lalu air tak hilang okay. Sile make sure your kids water bottle clean btul2. Skang mcm2 sakit. 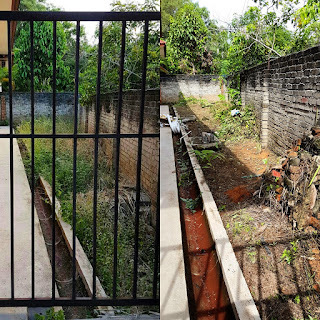 Starts from home and as parents lets make sure this simple things been taken care of. 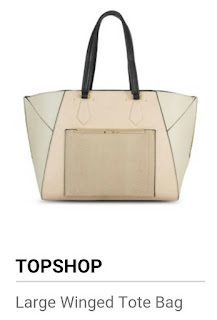 I remember during Uni days, I’ve been eyeing to own this one bag that Topshop Malaysia have. I dont have the picture of it since it was long time ago but the bag was really my first shoulder bag. 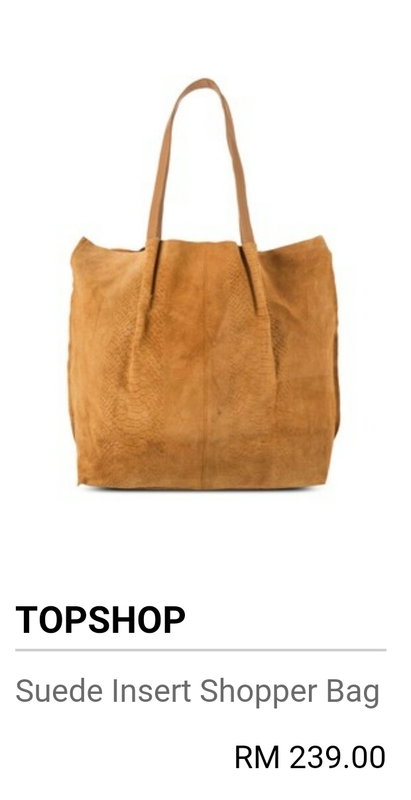 It's leather, big enough to toss my tutorial papers and the color was so earthy. It was green army. 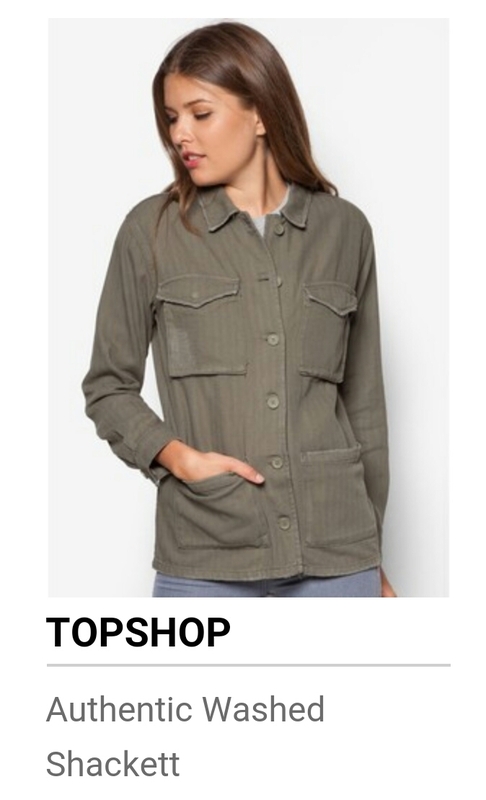 So when I manage to have my own salary (those were intern days) I quickly went to buy it and luckily they have the last two piece. I wore it most of the time afterwards until it is worn off that I am so sayang to throw it away. 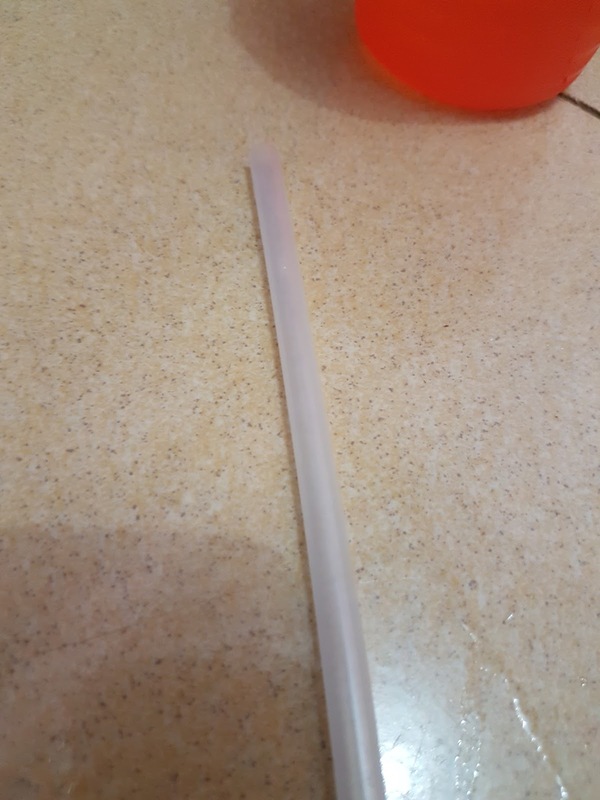 I kept it and after years and having kids I dont find it's purpose. 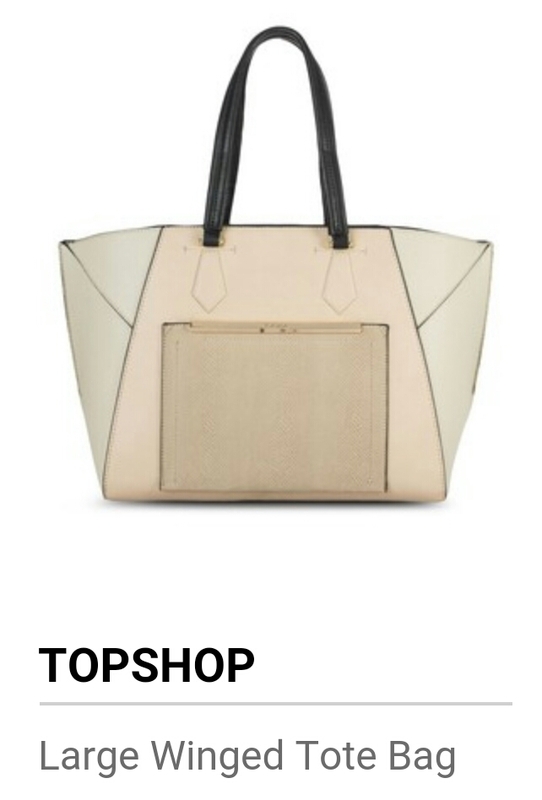 It's time to hunt a new handbag but since I am away from physical store, I need to opt the easiest solution. Online lah! Haha. I need a tote at least and some of the choices fits me. Tote or shopper bag just a need item for moms, especially. Easy to stuff all the diapers, baby wipes, extra kiddos clothes and what not but still be in style. 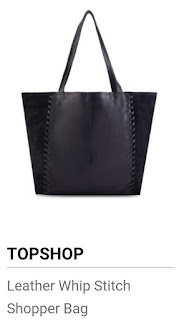 I always settle for safe colors but Topshop has some other tote bag that quite interesting to me. 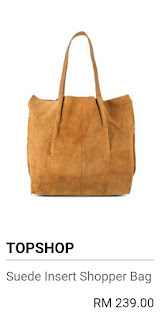 I never choose suede for bags but here are one of that matched to my style. As I browse more, I stumble few items as well. Looking on those options, I might settle for some other tops too, just because the color reminds me of my old bag. Haha. Hashtag; women can never settle for one item. Husband has been under the weather for the past week. He had major fever, dizziness and nauseas. Sounds familiar? No? Well, it sounds to me just like another fever or maybe food poisoning. Aqil missed his vaccination since 5 months old. It is all because the shortage that all clinics had and the troublesome of finding one. 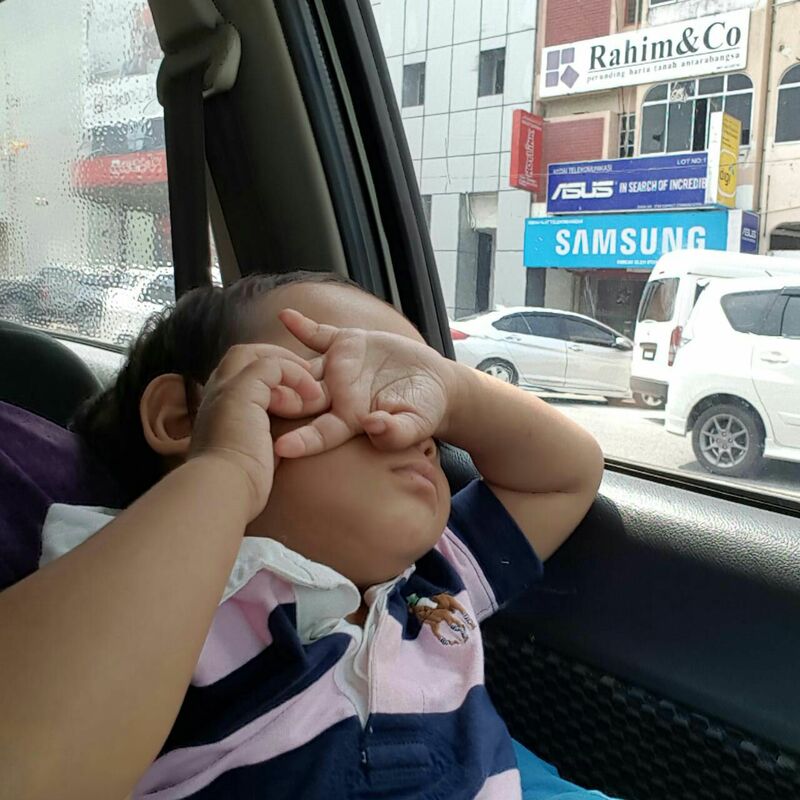 Blame the parents as well sbb x nak hadap klinik kerajaan. Puas dah cari tp x jumpe and lastly during Ramadhan, doa kan mudah makbul kan, so selit jugak doa nk jumpe buku vac tu. Punya la risau. Haha. 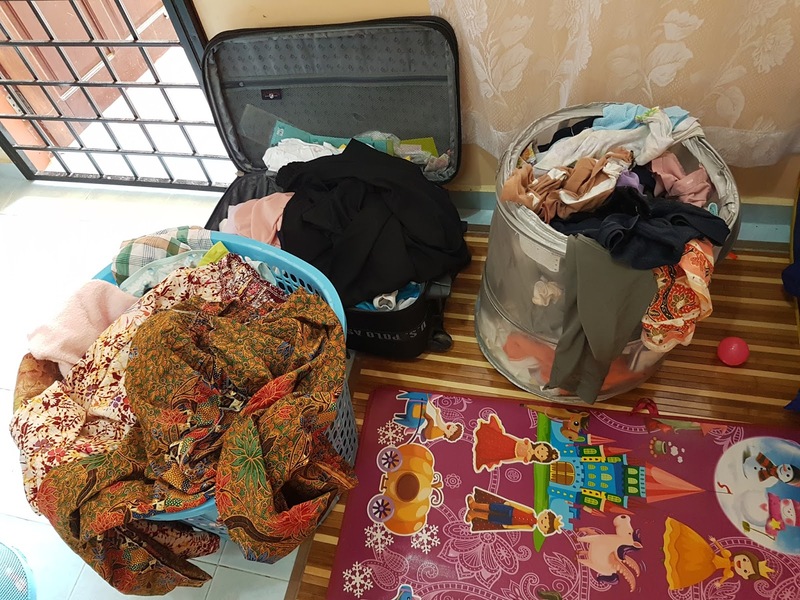 Dkat rumah Mama. Padahal dah cari before that tau. And then trus je smooth jumpe klinik yg ade stock MMR. 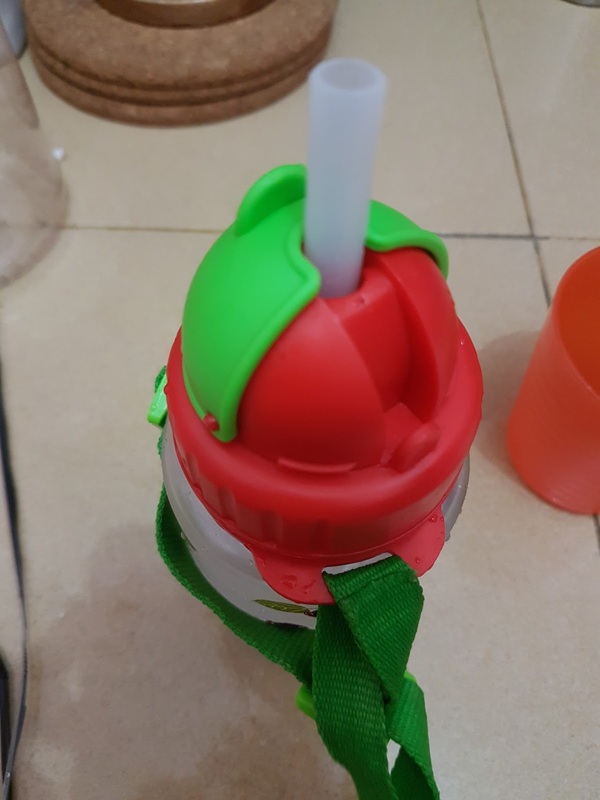 Kene la cucukk ini budak. Tak cry pun. Kakak die yg takut lebih. Lol. Alhamdulillah takde demam. Just that lepas kne shot, die melepek je. We stop by at our old crib during Raya the other day, sambil2 pergi visit the neighbours. 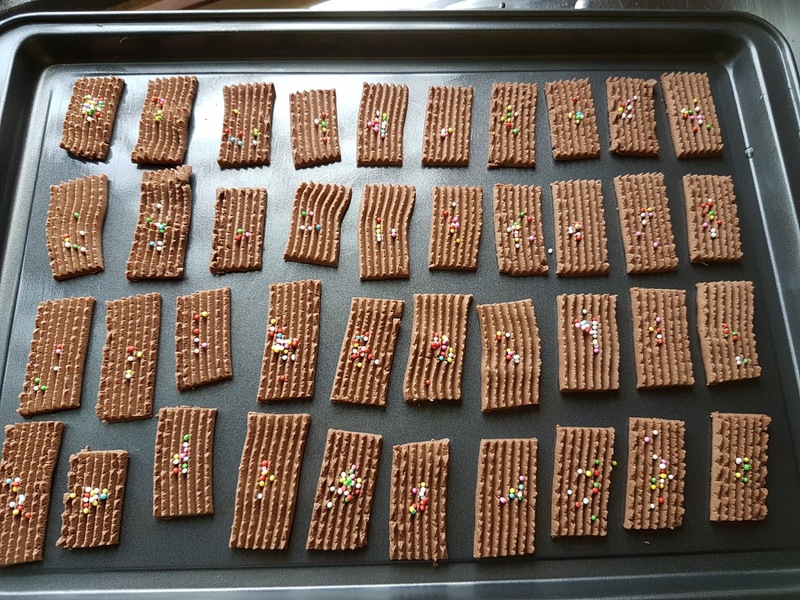 I took the usual ingredients and I made it again! 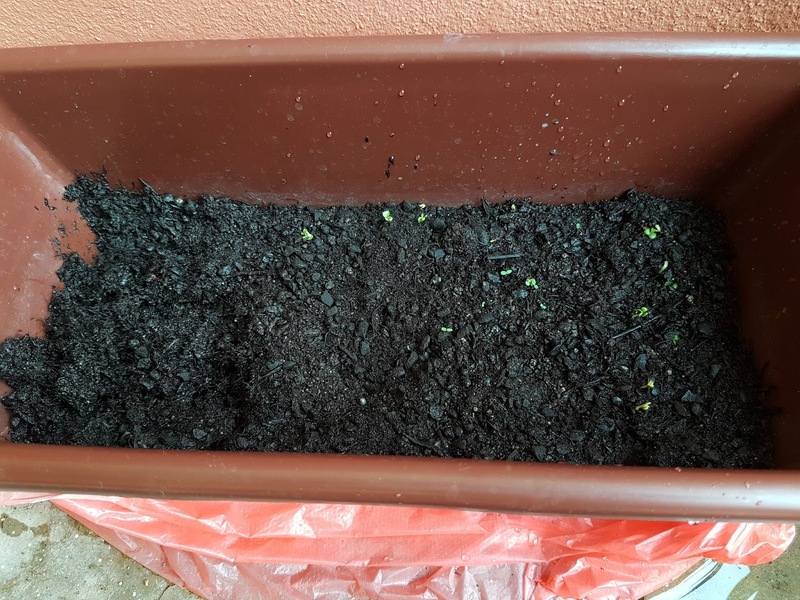 I think this dish is the reason I am so semangat nak start planting again. Hehe. I was like =_= and he praise the good food on the table today. 'Sedap' he said. I told him I cooked it few times dah but he dont recall and I suddenly doubting myself if I only cook this dish whenever he's not home. 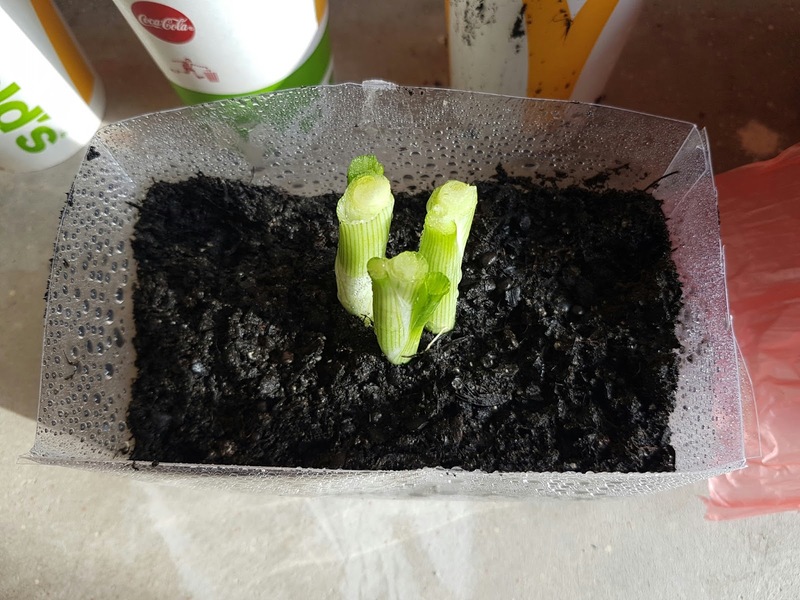 One of my resolution this year is to plant. 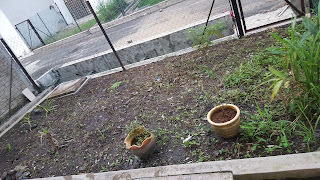 We had a small space to plant and it just big enough to have serai, daun pandan, lengkuas, pokok kari. It was fun, although I am not the one who start all the planting. 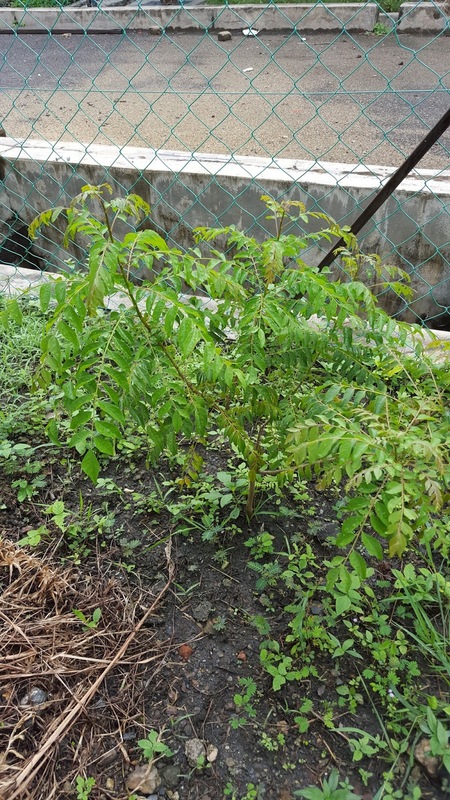 Babah, PIL who plant serai, lengkuas, halia and kunyit. All survive except kunyit. Halia tu pun suddenly shows up after more than a year. See how neglected I was during early days staying Kerteh? Haha. Serai pun after a while it died and I have to start over. Pandan pun also died sebab I tak siram and I dont know, kinda manja. 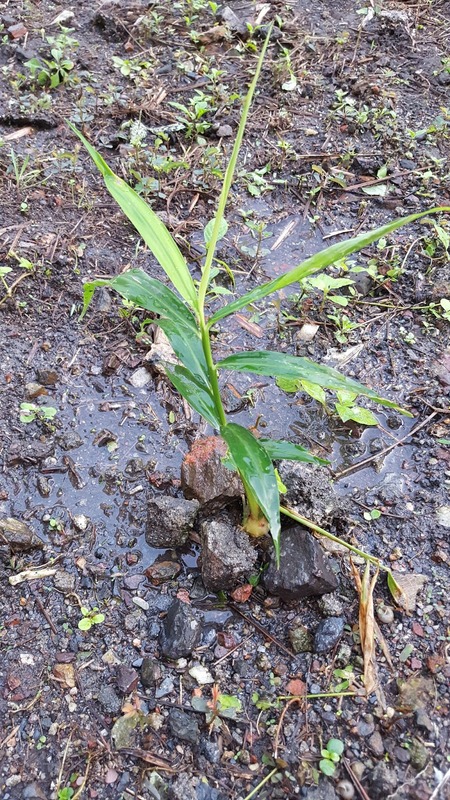 Lengkuas is the survivor of all. So I start over again with serai and daun pandan. 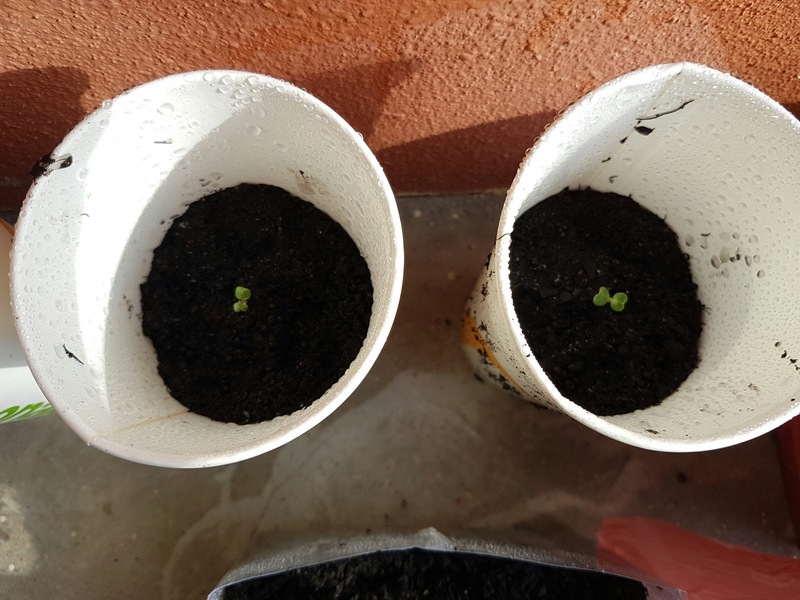 Daun kari took from Umi's and wow everything just magically alive whenever I plant after that. 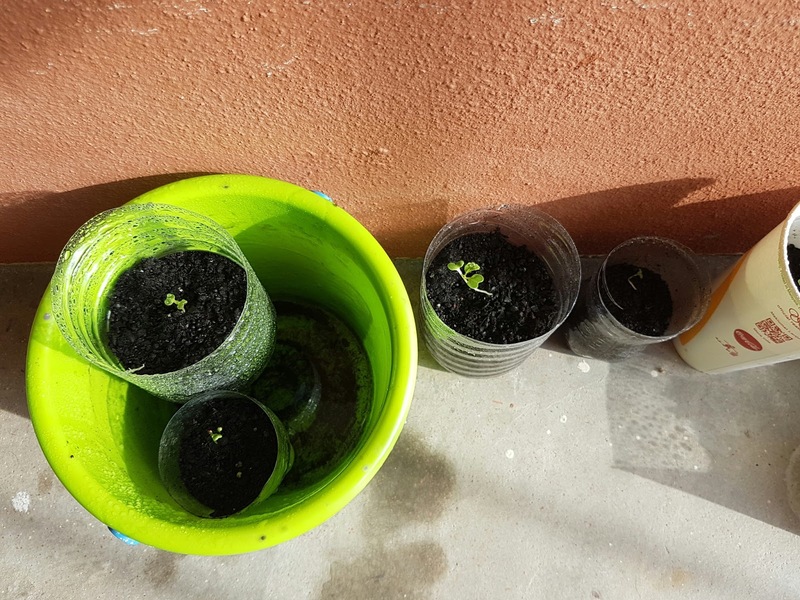 I started planting nenas as well but it died during the heat season where we left home for almost a week. I had daun kesum too. Tak banyak but just enough whenever I want to use it. That..was history. I am so sad and kind of not in the mood to start again after all the love that I gave to our old place. 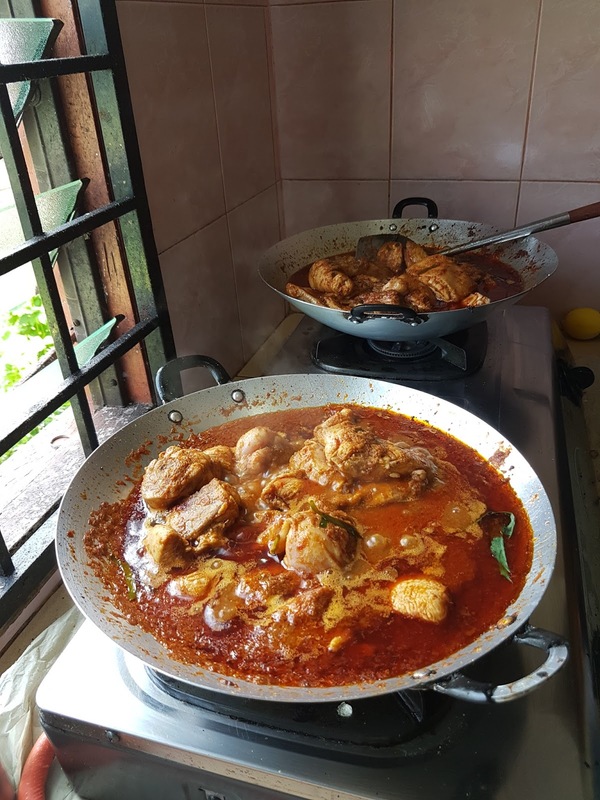 This is one of the main reason I cook more since we stay in Kerteh, other than not working kan. But since I hate the idea of having to spend money over the things that I can grow previously, made me change my mood. I start over and this time in a pot. One of my neighbour told me that I can get cheap pot at Kedai Eco. It's RM2 shop and we had it near at our house. Bought all the stuffs needed and hoping I shall bring the green thumb again at this new place. ps: All photos taken on January this year. I couldnt be bothered to take the latest photo since dah jadi semak. 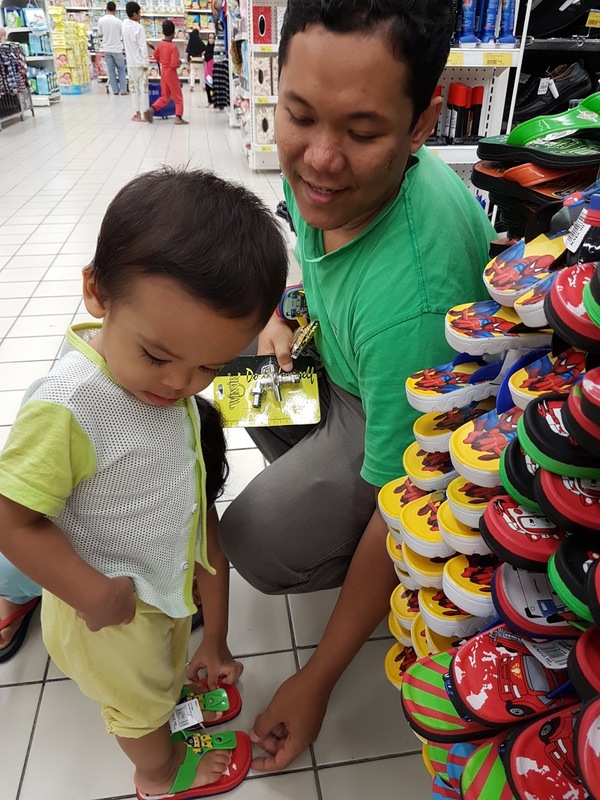 Gardener dah pindah kan.
We went to the mall the other day and this little fella was wearing his shoes. Obviously because he cant really wear those slippers yet. He keep on putting in and out, playing as it is another toy. So we left the slippers at home, letting him walk and run whenever he like at the mall. He was walking carefree and suddenly he stop and look aside. Something interest him, I think. He then walked towards a chair and I was 'Ohh no he is going to brush off someone again from the chair' but no. He saw similar, the exact pair of his new slippers under the chair that is belong to a kid who is sitting at the bench. He run and grab the slippers as it was his with the mad looking face to the boy. No. I said but he refuse to let it go so there goes a loud crying and me being apologetic to the kids and their parents. The family was just laughing and the kid looking clueless. You can imagine a boy who is crying out loud and the mother bow while the father carry him away for distractions. Yeap..that is our turn that night. 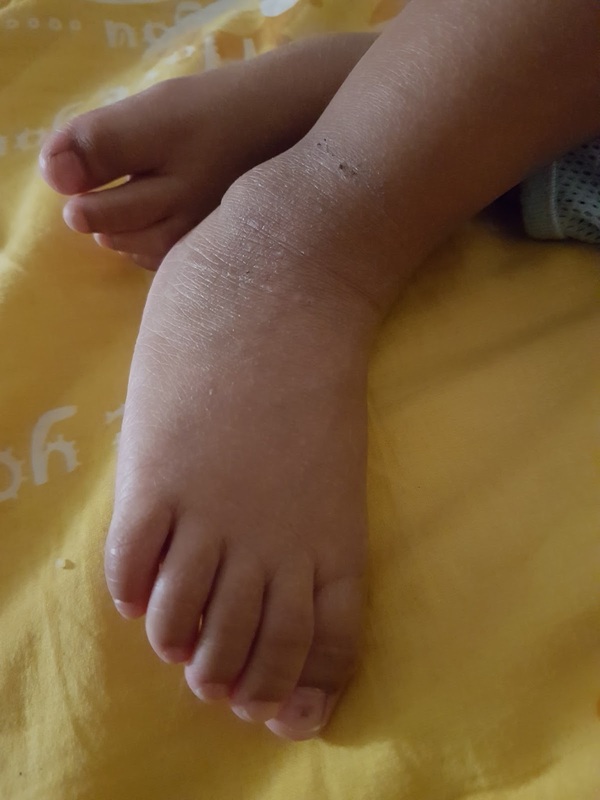 Aqil is turning 19 months and alhamdulillah he is still nursing directly. It is getting thougher since he has more teeth. Masa Rauhah kalau die start biting, I'll just press her nose kasi die tahan nafas and she'll stop after several reminder. But this little boy just dont know that his mom is in pain whenever he does that. He actually tought I am just playing rough and he'll bite again. Marah lagilah tak jadi kan. 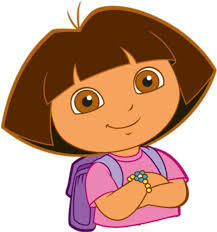 So the last resort is to give the flat face like nothing happen. Aa..susah nk make the poker face when it hurts so bad T.T luckily it works! Totally worth tahan sakit. Haha. He doesnt show any sign to wean off lagi, altho he eat like a normal kid. Still need the milk whenever he feels like it, especially when bedtime. Another few months to go baby. Soon Ibu will wear the koyak kaftan again. Soonnn! We balik kampung on evening before Raya with lot of stuffs at the back in our car >< Baju Raya takyah cite la. It's kuih, cakes and extra big fruits from PIL and neighbours. Kiddos were fine, slept half way and dah start cranky dalam stgh jam lagi nak sampai. Sabar jelah. 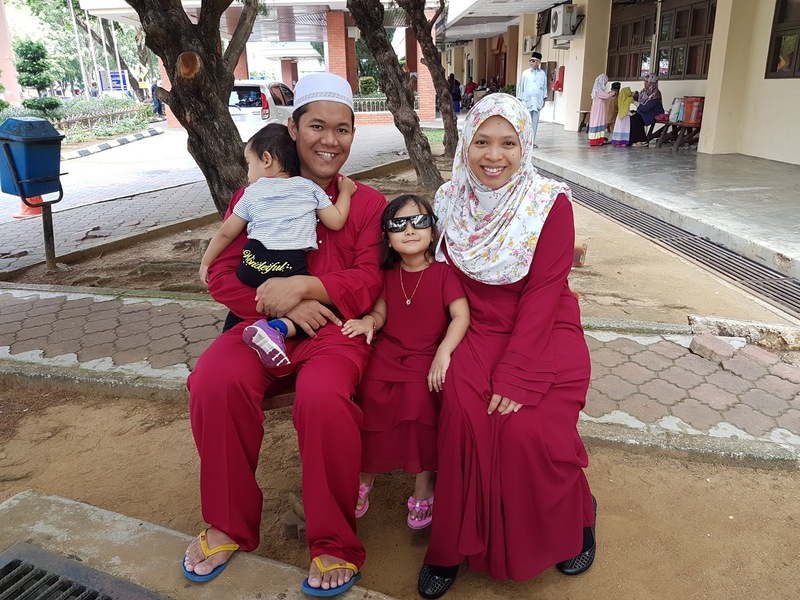 This Raya wasnt as fun as it used to be. Kiddos were down with slight fever and flu, little brother warded for dengue, dear cousins also warded 2 days before raya, few close friends lost people they love during Ramadhan and on the Raya day itself, that includes a baby that I learn who is my friends niece. I pray hard for Allah forgives our sins and the people we lost, granted them the highest jannah. Amin. Raya so-so je. Missing Angah sebab die raya PIL die. Umi only cook on the first day Raya which Nasi Impit, Sambal Ikan, Kuah Kacang. She tempah ketupat and Ayah make Daging Rendang, on the very last minute. I also packed my Rendang, cooked a day earlier to freeze. 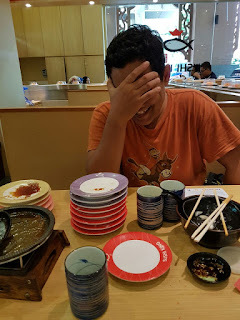 The second Raya makan apa yang ada je. Reheat few meals masa puasa and thats it. 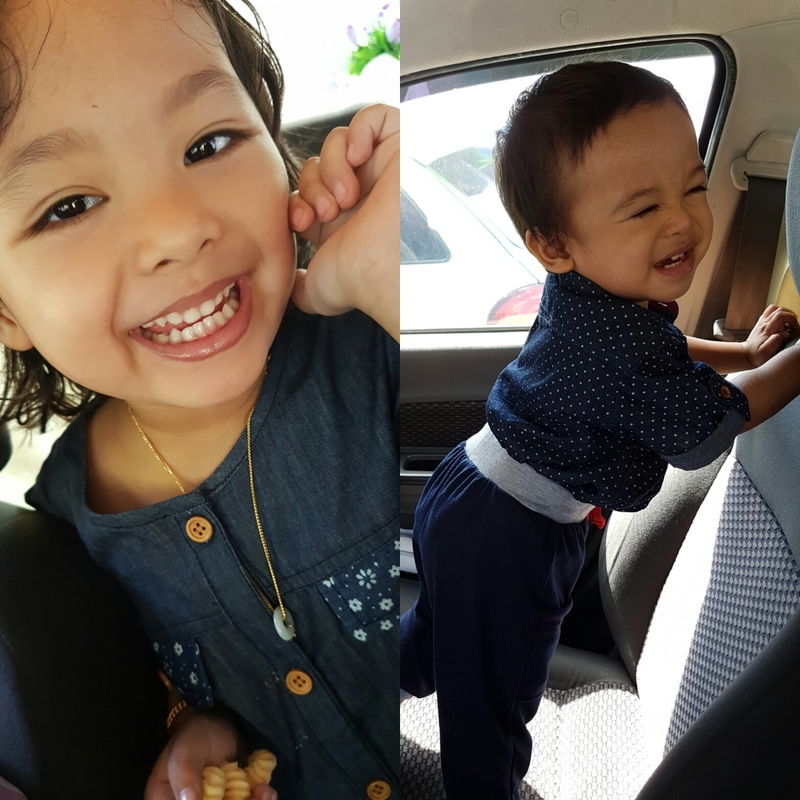 Umi and Ayah went balik kampung on the third Raya leaving just us siblings at home. I made burgers and cook Ikan Patin tempoyak for that day. All cleared! Most of the days during Raya pergi to closest cousins home je. Dh happy enough sebab bukan selalu dapat jumpa. Tu pun ade jugak xsempat pergi. The time mostly spent preparing for Acik's engagement this coming weekend. Buat hantaran and few pelamin deco. All buat sendiri since it wasnt hard enough sbb dah penah buat mase Angah last year. We dont have extra cuti, so the four days habis macam tu je. Itupun dah syukur sebab dapat movie date with Husband, thanks to awesome family tolong babysit the kiddos. 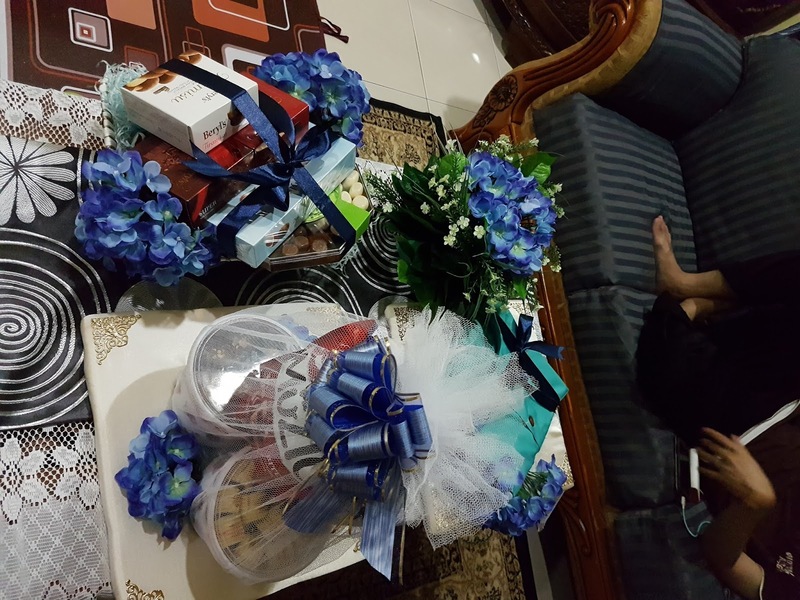 Bought present for Rauhah birthday jugak sbb we plan to celebrate Rauhah birthday this year. She (of course) didnt know we are planning but since she loves the idea of surprise birthday (selalu pretending surprise us with her imaginary cake), thus the excitement we are doing it this year. Eventually, Raya is getting better sebab little brother got discharge just in time for everyone to have meal together. My cousins pun get discharge at the eve of Raya. Had a good food at Mak Andak's house (cookies super sedap we try to stop ourselves from finishing the whole bowl) and Rauhah makan beriya sangat sane. Maybe sebab the setup and sumeorang pakat makan ramai2. Selera lebih :P Looking forward for whole family gathering this weekend for Acik's engagement. Ade 2 trip lg dkat ampaian. Tabahlahh.. 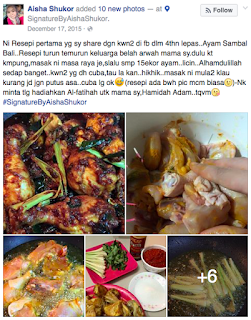 I almost give up with shared or viral recipe from FB sebab most of them wasnt as good as what I expect tapi yang ni exceptional because I am eager to know what does combination of butter and margerine will make. It was delish!! 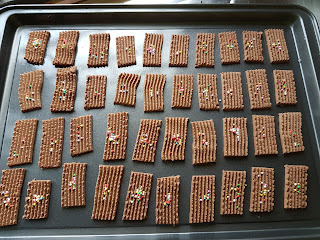 Still semperit tapi the texture a tiny bit crunchy which I like any cookies yang crunchy ni. My SIL give it a try pun says so. Sedap! 3. Masukkan semua tepung. Adun smpai sebati jd doh. My son buat hal lagi this time. I left my oven on for the final 3mins and went out skejap. SKEJAP JE! and suddenly I smell something burning. OMG panic kejap tgk asap okayy. 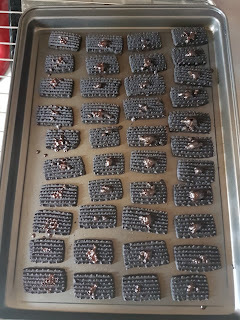 Hitam habes biskut I! 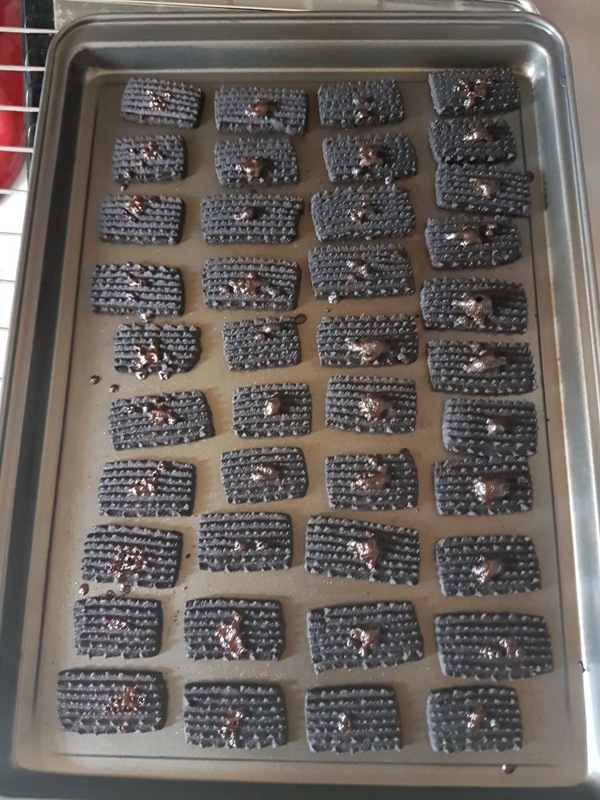 I ingtkan my oven buat hal sbb I've been baking since morning rupenye Aqil turns the temperature to highest degree! The oven is within his reach and he is at the phase copying everything that he saw. This old school was never my favorite but since Raya is coming and suddenly I wanted this but couldnt find it in store. So I give it a try to make on my own. Nervous gile nak buat takut tak jadi. I read a lot of people trying making this but tak jadi. Ade tu sampai 5kali. Gigih kan mereka. I salute. 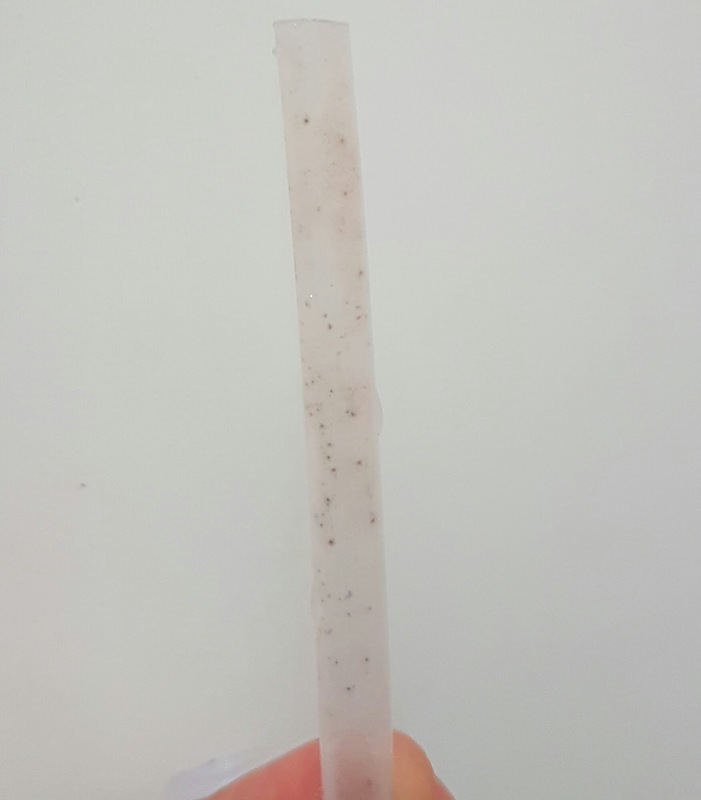 1) I derhaka pegi kacau gula lepas letak air panas. So die berketul. 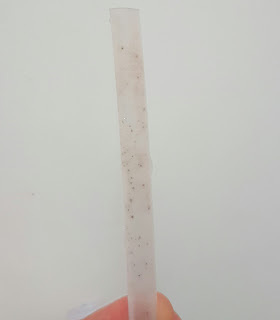 I stir bersungguh la kan nk suh gula tu cair balik. So I ingat dah tak jadi. 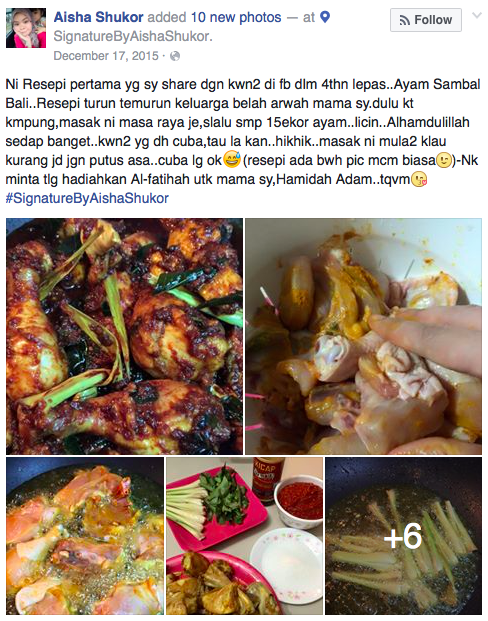 2) I read that jangan kacau sangat masa mixing all the ingredients, just stir to combine je. So mmg I nk kacau sungguh2 telur, susu pekat, butter and gula tu pun takut2. Instead, I takut kalau trlebih kacau and tepung tak sebati, I tapis je. 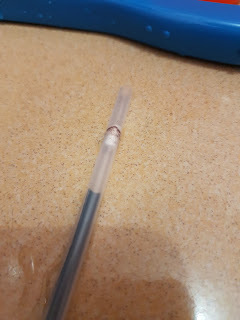 3) Perap tp I x sure main peranan ke tak but resepi suruh peram, ikut je. 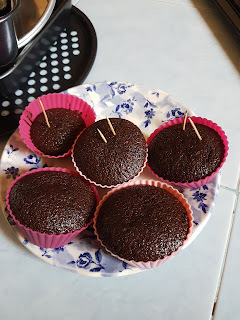 4) I follow the instructions to bake api bawah for 40min and 5min api atas bawah. Kek tu mule2 naik pastu die kluar bubble while cooking inside then turun balik when dh nak masak. Ada lubang yeyyyy. Masa potong tu dh dpt rse spongy and the texture is just what I expect from this cake. Toing2 and sweet enough to my liking. Thank you to the owner! 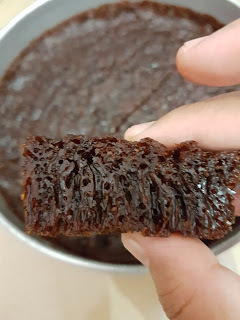 Smangat I lepas ni nk buat lagi tp gune loyang kecik la sbb tgk katik je kek i guna loyang besar. Haha. 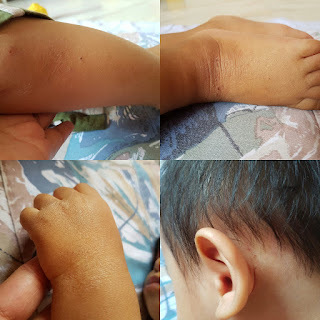 He didnt have eczema until he turns one. It just came and he started scratched himself to bleed. I notice it started masa musim panas gile tu. His skin mmg dry since birth unlike his sister. So mse musim panas tu skin die lg senang dry so I didnt tought it was eczema. I changed his soap, put on lotion and it didnt goes away. Few lotions heals for a while but it came back. I did watch what he ate and come to conclusion that he cant eat eggs, kicap and some seafood. Stop using Johnsons especially because it just did nothing. In fact I started to blame Johnsons. 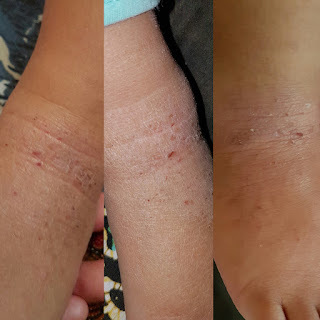 My SIL knows eczema well, so I learn a lot from her. Had few tips what to eat and what recommended lotion/cream to put on. We also went to two clinics and both said the same thing. 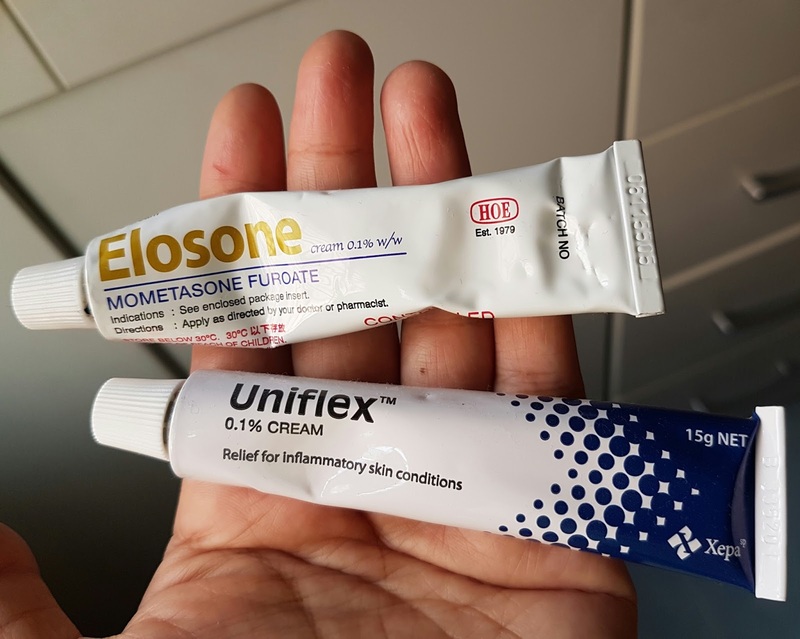 Even one of the doctor laugh when I mention I put Cetaphil sebab those are for early eczema phase je. 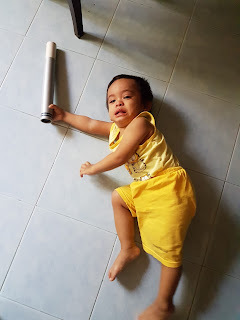 Aqil punye dh teruk doc kata. So I applied these med once at it straight away gets better. In fact, I started think Aqil seems outgrow eczema sebab he can slowly eat eggs. Not until he ate mee goreng that I put little kicap with no meats. Then he straight away garu. The usual place. Nih dh getting a lot better. So everytime die start garu2 tu I applied je any of those skali sapu je, tak lame he stop garu. Esok trus elok. I pun kne watch what I ate sbb yesterday I had sotong and this morning he start scratching himself again. Dulu boleh la pakai socks to prevent, now dah pandai bukak sendiri. Mmg kne always watch out this little fella. Ni dh kire ok. Tgl parut. So maintain je using Cetaphil. Oh I think the shower cream that he used plays important role jugak. 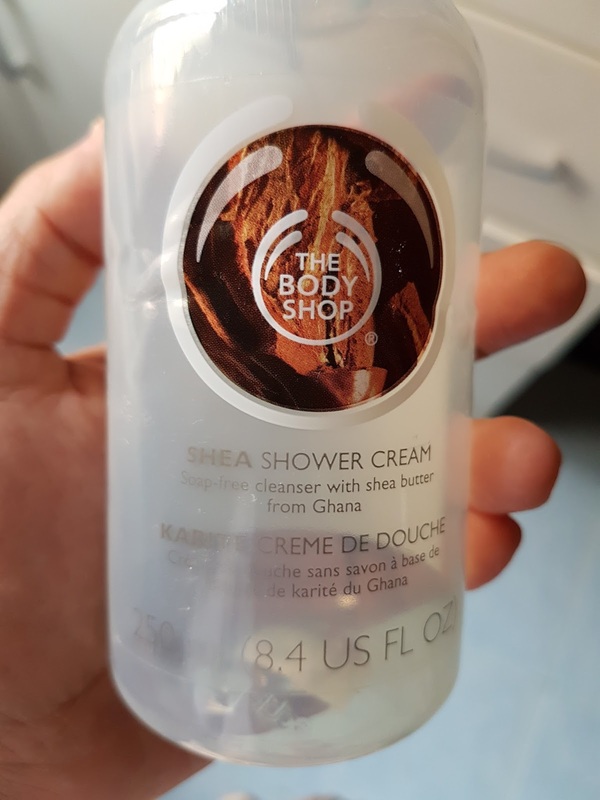 Either he is outgrowing eczema or the cream really works (which I rarely used, so far tak sampai 5 kali sapu in total) but Bodyshop Shea Shower Cream ni mmg I guna everytime die mandi. The promoter from Bodyshop told me that one of her customer always buy this because it works for her kid, so this is the first time I give it a try and alhamdulillah kulit die pun getting smooth. A lot of improvement I notice lps pakai this cream. Tak sampai sbulan dah licin and I need to buy a new one sbb tak jumpe Bodyshop lagi at this area. So in the meantime I opt for Johnson Milk+Rice baby bath. Ok je so far but I prefer Bodyshop lg sbb lg wangi and kalau I tak apply Cetaphil for a day pun x pe. His skin still moist sbb tu I suke Shea shower cream tu. I stumble on page about baby eczema. Omg..what Aqil has is nothing compared to them. Sedih I tengok. I pray that all the kids get better and the parents stay strong looking for the right solution for their kids. Aqil mcam ni pun I dah heartbroken, imagine if I were at their place. Ramai share tips and everything. It's a good reading to for me sebab this is the first time I am handling this.